This is the Costa Rican Las Gravilias brought to you by Noble Coffee Roasting. This fully washed coffee was sourced from the growing region of Frailes, Tarrazú in Costa Rica and was produced by the Roberto Marín at 1,600 meters. 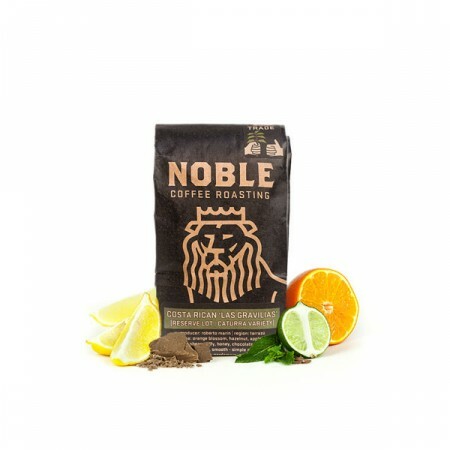 We love this coffee for its nuanced notes of chocolate, nuts and crisp, bright acidity. It's decent. Not really anything special about it. I've always perferred Case to Noble in Ashland. really enjoyed this coffee. Big fan. Brewed on a chemex v60.